The sphere of influence that is Enterprise Content Management has been steadily expanding to encompass areas such as records, digital assets, web content, and others. This has meant your ECM solution suite has had to grow and mature to support and maintain these activities. The newest is cloud-based document management, sharing, and collaboration. Now, I bet you’re thinking, “We don’t need that nor do we support that in our enterprise.” Here’s the trick though: Your users are already doing it and they’re very likely making it happen with software that’s not a part of your enterprise ecosystem. That means it’s probably unsupported, potentially insecure, and generally out of your control – not a good combination. The rapid growth of this field has led to many solutions which attempt to enhance the consumer-level products and businessify them by offering a few more features at a wildly increased price. While these options can seem appealing, they still represent a gap in enterprise coverage as they aren’t themselves enterprise applications. 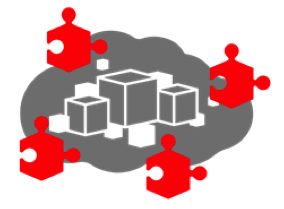 Oracle, however, has expanded their Public Cloud offering – already the largest in the world – to not only fill the gap of Enterprise File Sync & Share, but also to expand cloud content management to your on-premises solutions, as well as mesh seamlessly with other applications.Now it’s possible to keep your users happy and productive while maintaining control and even expanding the capabilities of your enterprise. 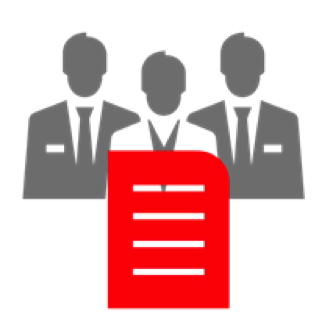 Introducing Oracle’s Documents Cloud Service, also known as DOCS. DOCS represents a trident of capability, the first tine of which is as an enterprise-grade file sync and share replacement for the consumer-grade applications your users may already be utilizing. 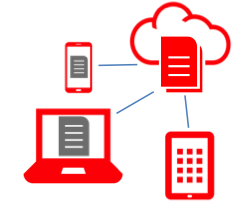 Before you can sync or share content, however, you have to manage it and Oracle provides a modern, intuitive web interface, for access across every device, to do just that. From here users can upload, preview, revision, delete, and share content and folders with ease making this the front line in our EFSS battle. On the syncing front, native desktop applications for both Windows and MacOS allows users to seamlessly sync folders of their choosing with the local file system. This means files are available for viewing and editing when and where users demand them and without the need for an Internet connection. When connectivity is restored the sync application automatically updates the cloud with any changes, removing a step for the user. On the sharing front, sharing content internally and externally has been rendered both simple and secure. Internally, named users can be shared to folders as one of four roles; Manager, Contributor, Downloader, or Reader. This means you have control over who has access and what kind of permissions they receive. When sharing to an external, non DOCS, user Oracle has provided several capabilities to make the process simple and safe. First, public link accesses are carefully tracked and an audit trail is provided. Each public link can also be assigned an expiration date so you don’t have to worry about forever managing every link that’s been distributed. Even more, each public link can be created with a required passcode so that even if the link is improperly distributed, the materials remain secure. Finally, each public link can be assigned a role which is granted to those who use it. All these features combine to allow incredibly granular control over who can access what content when and with what privileges. The last point is for those on-the-go. 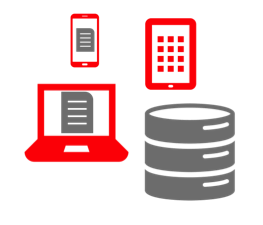 For mobile users Oracle provides native applications for both Android and iOS which enable feature-parity between the mobile and web platforms. This means users can access their content from virtually any device, at any time, and maintain the full suite of capabilities no matter what method they’re using. This represents an unprecedented level of access to and control over enterprise content for your users. File Sync & Share is a great step forward in content management, however we’re still potentially left with a cache of content that stands apart from your Enterprise Content repository. DOCS addresses this through a process whereby your ECM repository is “tethered” to your DOCS repository through a 3rd party solution and content is shuttled between the two applications when edits are made, ensuring both repositories have the appropriate version available. This process allows your current ECM solution to remain the single point of truth in your enterprise for all content but enables users to access that content from beyond the firewall in a safe and secure manner. The use cases for this method are almost endless but imagine a contract package being worked on by a CMO, a salesperson in the field, and a client with contributor access via a shared link. The CMO, working from within the company, can make edits to the documents and upload them to the ECM system. The salesperson in the field accesses the documents via DOCS and can also make changes and suggestions. As revisions are made, the CMO is kept in the loop as the document updates back to the ECM system as well. Finally, when complete, the client can access the documents, digitally sign them, and upload new versions to DOCS. Within moments of uploading the CMO has access and can move them to the appropriate next step. Hybrid Content Management takes the premise of EFSS and keeps it a truly enterprise endeavor by ensuring that content is reflective of only one repository. This ensures that all users are working with the same materials without fear of unknown changes or missing versions. It also guarantees that content owned by the enterprise is continually merged into the enterprise so there’s reduced anxiety over content ownership and location. Finally, DOCS takes an even longer and wider view of its role in the enterprise by enabling you to integrate other Software as a Service (SaaS) applications. The idea here is that any application to which users are uploading content represents another repository in the enterprise. Why should contracts uploaded to SalesForce live in that application? It’s not a content management application and it doesn’t have the metadata, workflows, and processes that your ECM system has. Documents Cloud Service works to solve this issue by providing a rich API foundation and an accessible embedded interface to allow you to merge applications with it and utilize its capabilities as a content platform. This Platform as a Service (PaaS) functionality allows you to keep your enterprises’ content in a single location – especially if you’re utilizing the Hybrid CM capabilities and merging your DOCS repository with your ECM platform. With the embedded interface method you can add a simple iframe to any updateable UI to create an almost seamless merging of the two applications. While it looks like a user is uploading documents to the primary application, in reality they’re uploading to DOCS. With the API method, much more elaborate services can be written to customize the functionality of virtually any application, creating a background integration with Documents Cloud Service that is completely transparent to users. In either case, you’re removing another disparate cache of content and centralizing management into a single location. Ultimately this means less storage overhead for your SaaS applications and more complete control over your enterprise content. Consider a purchase order document uploaded to a contact entity in SalesForce. Though an integration with Document Cloud Services, the content item is actually seamlessly uploaded to DOCS. With the DOCS repository linked to your on-premises platform, the content is replicated to the appropriate folder in the ECM system and an automatic workflow is started, alerting the Director of Sales to the new purchase order and requesting approval. The Director makes a small edit and approves the content. This sends a notification to the sales agent and ends the workflow. 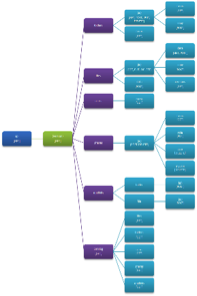 The content, now being newer in the ECM system than on DOCS, then flows outward to the cloud, updating the version there. The sales agent happens to also use the desktop client to sync DOCS content with their laptop and so the version there is updated automatically. On receiving the notification, the agent goes to their Oracle Documents folder on the desktop and opens the purchase order to review the Director’s changes. Satisfied, the agent closes the document and then right-clicks on it to access DOCS’ sharing. The agent creates a public link with downloader privileges and sends this link to the purchaser. In this scenario, the content is available through the SalesForce site, the DOCS site, the DOCS mobile apps, synced to the desktop, and through the on-premises ECM platform. Instead of having two, three, even four different copies of the content across various systems and on various workstations, all versions are centrally managed and maintained in the system of record. This degree of centralized control is precisely what Enterprise Content Management seeks to achieve and Documents Cloud Services bring us all one step closer to that goal. Have questions? Want to learn more? Contact TEAM today! This entry was posted on Thursday, April 30th, 2015 at 2:11 pm and is filed under ecm, Oracle, Oracle Documents Cloud Service, WebCenter Content. You can follow any responses to this entry through the RSS 2.0 feed. You can leave a response, or trackback from your own site.